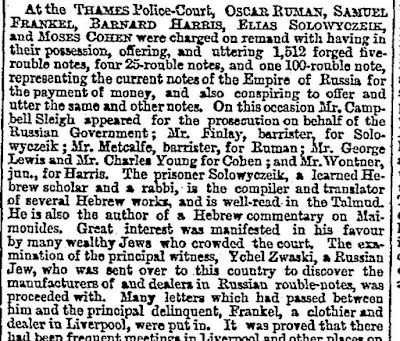 On the Main Line: The black sheep of the Soloveitchik family does not fail to impress! The black sheep of the Soloveitchik family does not fail to impress! 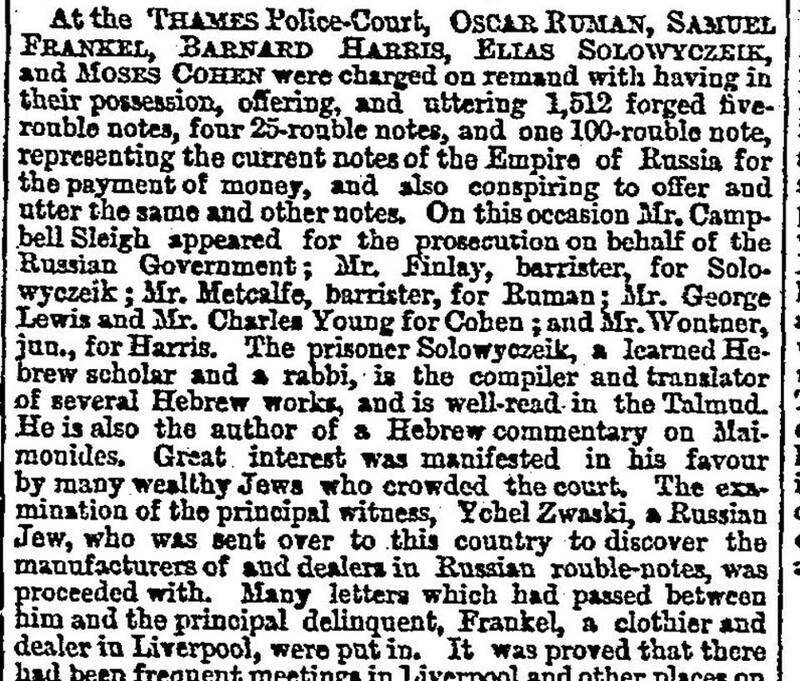 This is a story from 1868 about the time Rabbi Eliyahu Soloveitchik was arrested as part of a ruble forgery ring. 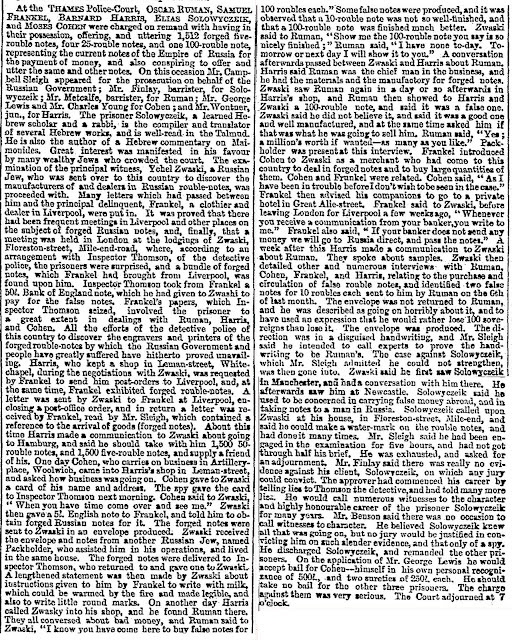 Note: Although the charge makes the most interesting contention that his role in the ring was that "he could make a water-mark on the rouble-notes, and had done it many times," his lawyer, named Finlay, argued that there was no evidence that any jury could use to convict; only the word of one of the conspirators, and it seems the judge agreed, because when Finlay offered to provide character witnesses, the judge said that while he believed that Soloveitchik was part of it, no jury would convict, and he was then released without charge. I previously posted about him here. Here's an excerpt, which I believe should be readable, followed by the entire article, which you will probably need to open in a new window to read at full size.